The solutions for golf operators offered by Vinet America include dynamic packaging for tee times, accommodation, transfers and flights with full booking capabilities. 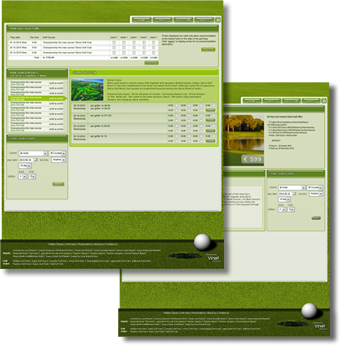 The golf dynamic packaging system of Vinet America operating on internet allows full booking capability both at front-end and back office including tee times. Any specials for golf as well as golf packages (with or without accommodation) can be implemented. An enhanced back office allows you to enter your golf and hotel contracts with the vendors and price them for sale. 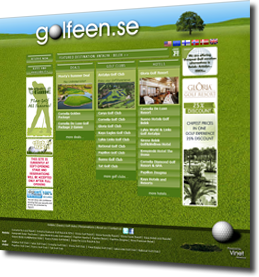 Professionally designed landing pages can be used for special golf package offers. Air flights are provided by a fully integrated Sabre or Amadeus web services in addition to block/charter seats module. For operations and controls a vast list of reports and queues is provided to ease life for travel industry. Supplements can be added to increase revenues. All customers and agencies can view their reservations at the special “my reservation” page. It is important to note that 3GTS does not provide hotel rates and availability from third party hotel GDSs; you must have your own contracts with hotels and resorts in order to use 3GTS.